Girl/Friends break out into their own dances to celebrate the beginning of their event. Girl/Friends participating in a dance workshop. Attendees view Girl/Friends photography exhibit. Anaya Frazier, first year as a Girl/Friend, with her self taken portrait. Co-Founder of ‘A Long Walk Home’ Scheherazade Tillet introducing the first performance of the evening. 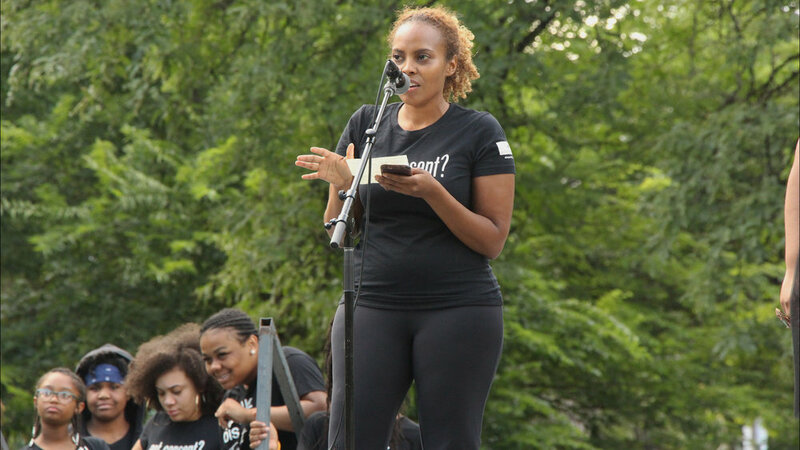 “It’s nice that we finally have this at Douglas Park for Rekia, because this is the last place she was alive. Dante Servins house is across the street and he’s waving his american flag almost like he’s sticking claim to what’s never been his. This is ours,” said Aaliyah Young. “She wish that she could be here in the physical. But i want y’all to know that she is here today in the spiritual, her spirit is flowing, not only through me, not only through my mom, but through all of us,” said Martinez Sutton. Girl/Friends perform a group poem for the audience. Captured moment of young Girl/Friend getting involved with the introduction of the program. 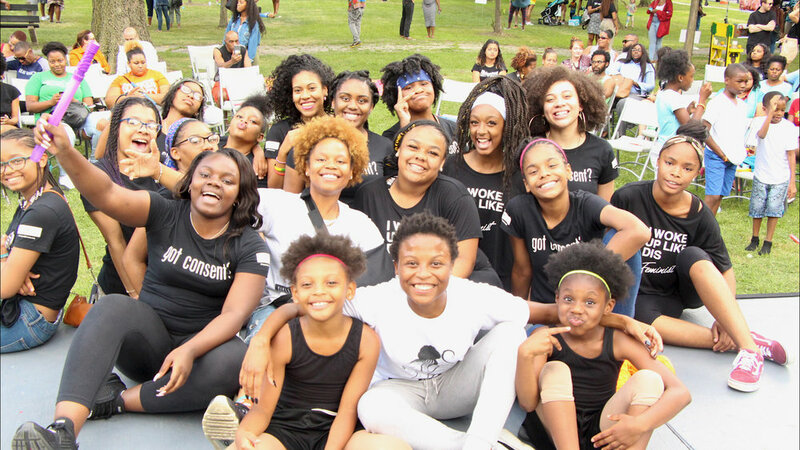 A Long Walk Home, a nonprofit organization built on sisterhood and solidarity, has been using art to end violence against girls and women for 15 years. 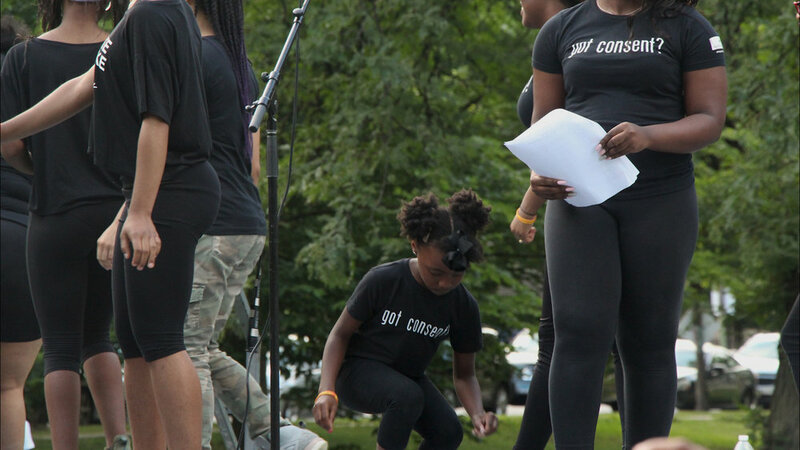 The organization fulfills this goal by using the unique tool of calling each other Girl/Friends and constructing events every year to educate and inspire young people to get involved with making a change. Asia Willis is the youth director of the Visibility Project and an alumna of A Long Walk Home and has been a Girl/Friend for six years. She dedicates her summers to making dance choreography for the program’s special events. 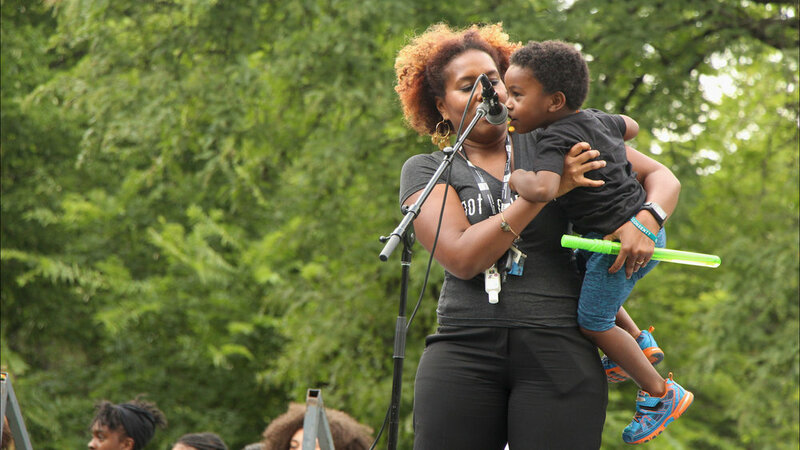 The three hour event—which was open to the public but targeted especially at young black girls— and was also led by young, black girls and women included dance workshops, poetry performances, photography exhibits, and a special performance by Jamila Woods, a Chicago based singer, songwriter, and poet. 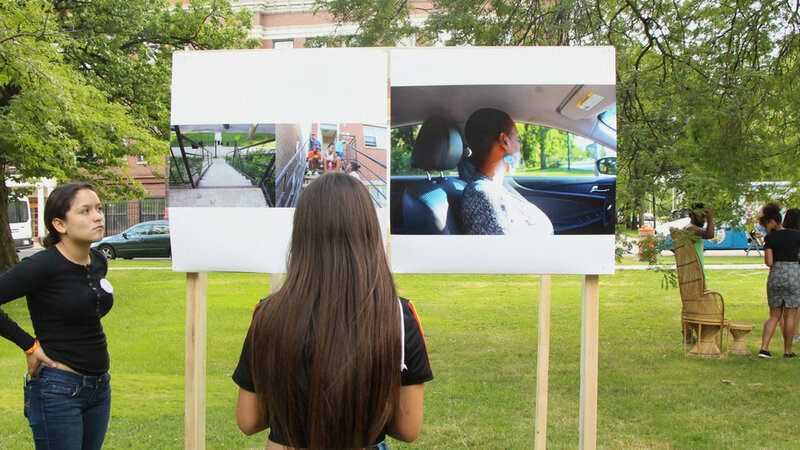 In addition to recognizing all black girls, The Visibility Project paid special tribute to Rekia Boyd, a 22-year-old young, black woman who was shot on March 21, 2012 by an off-duty police officer in Douglas Park. The Girl/friends purposefully hosted their event in this park to reclaim the space and reposition it as a positive environment. Boyd’s death is only one of many other fatal incidences that have occurred in the neighborhood park. Such as the first weekend of July, a 5-year-old girl and 51-year-old man were found dead due to a fire, this incident is still under investigation. Girl/Friends along with Jamila Woods ended the evening by encouraging audience members to gather around a tree for one last song to remember Boyd’s life. A Long Walk home seeks new Girl/Friends every year to be a part of events such as this one. “Once you join the family you’re apart of the family forever,” said Willis.